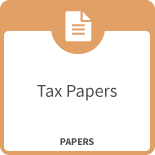 The paper is for CFOs and controllers who are responsible for reviewing and/or signing tax returns and related forms. It assists by providing the key tax issues to look for when reviewing. Tax issues to be on the lookout for during the middle and final years of LIHTC project will be covered in forthcoming papers.